I've been on/off modding and testing things out in Blitzkrieg using the Corsix editor and have very rarely ever been truly stumped by an issue that I haven't been able to research/fiddle around until I've fixed it. I am trying to make the Sturmtiger to be a buildable squad in the Panzer-Jager Kommand centre. I am clearly missing something though. The icon is there (UI Group position 7), the description isn't entirely accurate but I can change that no problem. How ever when I click on the Sturmtiger icon no resources are used and nothing is produced. In effect it's a dead button. I have been scratching my brain out for the past few days with this issue. 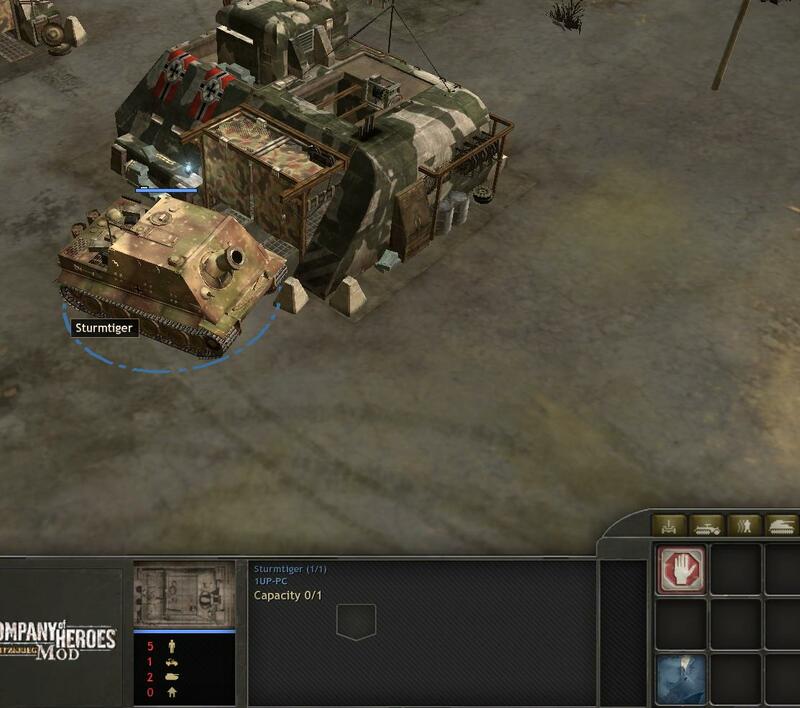 I have compared several vehicles and vehicle squads to the Sturmtiger and Sturmtiger squads to see if I have missed something but I can't see anywhere that should be causing this issue. If I am able to fix this I'll post it here but until then I'm basically praying for your help in this matter! Maybe something about it being a call-in? 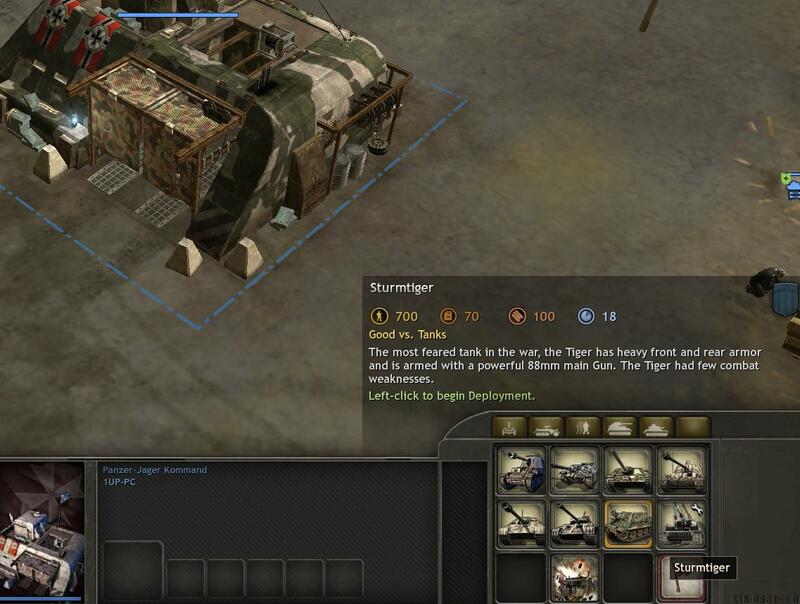 I dont see how that is logical since you have added the unit itself and not the ability, into the panzer jeager. Maybe you have to fiddle around with how long it takes to build? set it to like 1. I'm no expert, but is the only thing I could think of in 1 minut. Since it's a call-in it didn't have any files for constuction, so they are all missing? Redgaarden wrote: Maybe something about it being a call-in? 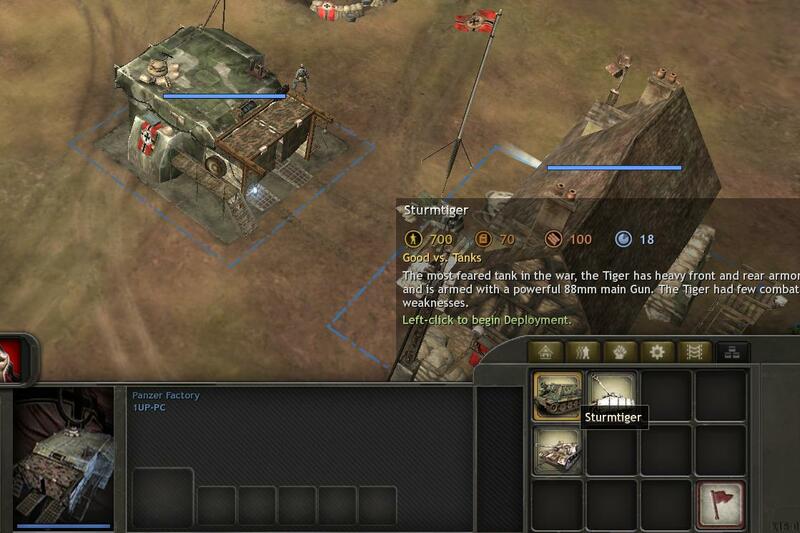 I dont see how that is logical since you have added the unit itself and not the ability, into the panzer jeager. Maybe you have to fiddle around with how long it takes to build? set it to like 1. I'm no expert, but is the only thing I could think of in 1 minut. Actually this may possibly be it. I'll report back as soon as I can. Thanks Redgaarden. I changed the construction time to 1, nothing happens still unfortunately. 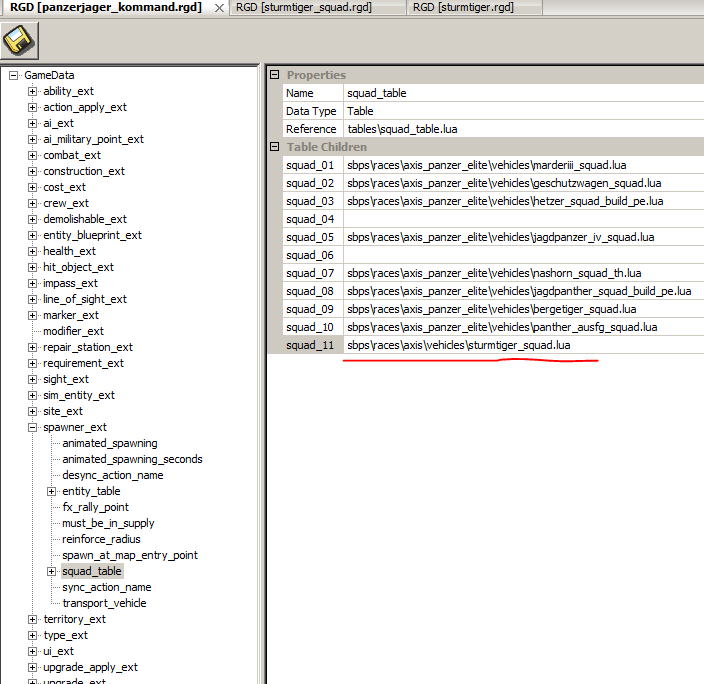 I'm not sure where I could find any other construction type files for the vehicles within Corsix? the only thing I can think of that is close is cost_ext. I must say, I am at my wits end with this problem. I have never encountered a problem like this before and nothing seems to make headway. I have sunk many hours than I dare to admit focusing solely on this problem. I'll keep checking this thread every day to see if there are any replies. Try adding it to WM instead of PE. I thought the same at first. But some units (eg stuart) use the same gun file. It doesnt matter if CW uses a weapon in US file or the other way arround so i thought it wouldnt matte here as well since the file path is correct. Wolf wrote: Try adding it to WM instead of PE. Hello, I'll try that shortly. Thanks. 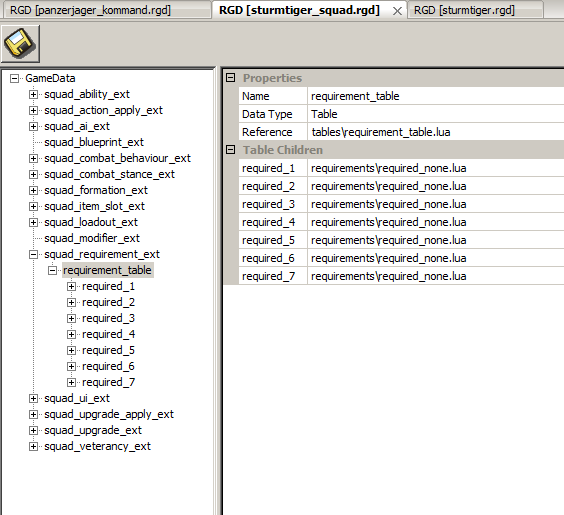 So I removed all the requirements for the sturmtiger_squad too so that it doesn't need any upgrades to be made. add in HQ and that's work. It works! Excellent it works! Thank you so much, I removed the popcap and that was the problem! Thanks so much again! My god I was stumped on this for ages! I tested it out, it fires properly, has sound, has everything. It works perfectly!